Are you wondering how to start a travel blog and simply don’t know where to begin? I get it. There’s so much information out there and it can get overwhelming. First off, relax, grab a cup of coffee (or a glass of wine) and take a breather. You’re in the right place. I am Anna, the Co-Founder & Editor of this travel blog Adventure In You. In this step-by-step article, my partner Tom and I, will walk you through the exact steps of how to start a travel blog. Thanks to our blog, we’ve been traveling the world for the last four years. We’re also one of the top 15 travel bloggers in the world. That’s a photo of us below! We will cover all these steps and lastly, at the end of this post, you can register for our free masterclass training. 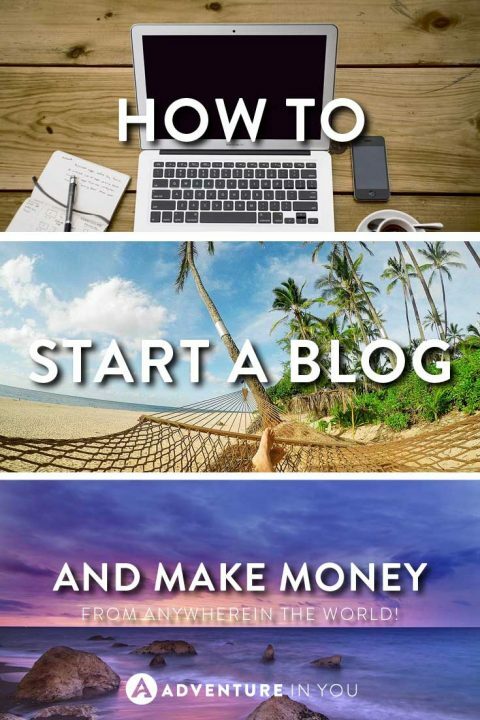 In that training, you will learn exactly how to make a full-time income from travel blogging. Now try not to get overwhelmed. Save this article and come back to it as much as you need to. To date, we have helped over 10,000 people start a blog, so you are in good hands! We love helping people get started blogging but understand in the beginning it is hard to find the time and there seems like there is so much to do! 1# FREE training videos showing you how to get started blogging. 3# Access to claim 2 bonus gifts to kick-start your travel blogging journey for FREE (normally valued at $50). 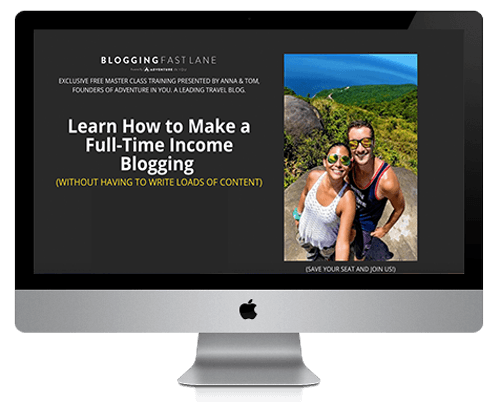 4# The opportunity to join our “How to Make a Full-Time Income Blogging” Masterclass Training for FREE. Are you excited yet? You should be. So with that coffee (or wine) in hand let’s get started! Why Create a Travel Blog? Is Travel Blogging Living the Dream? Step Four: Claim Over $50 of Blogging Bonus Gifts for FREE! Free vs Premium Blogging Themes: What to Use? Five years ago, if someone told me that I would be able to travel the world and earn money, I would have laughed. Fast forward to today, both my partner Tom and I still can’t believe that we do what we do and are able to work from anywhere in the world. Sometimes, we have to pinch ourselves to see if this is real! When we started our travel blog, Adventure in You, it was a side thought brought about by a wine-fuelled evening. 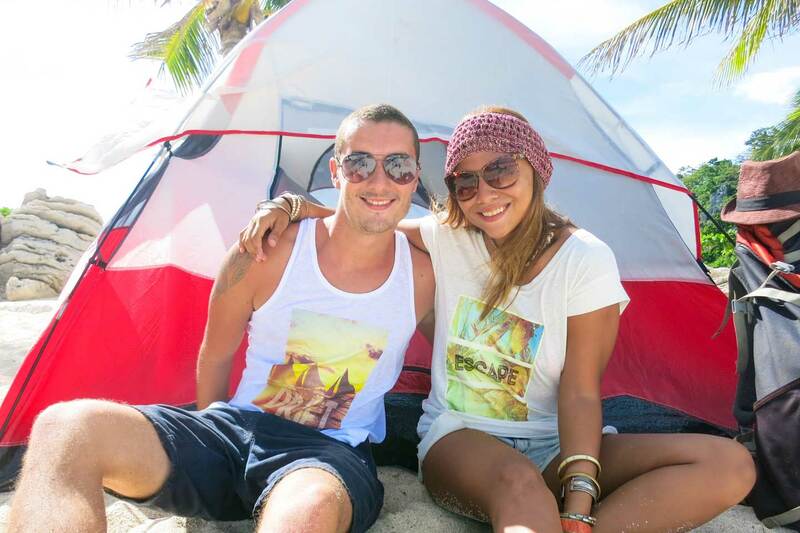 What started as a passion project to stay connected to traveling now makes money to support us and our team as we travel around the world. Travel blogging is easy but making money from travel blogging is hard. However, with the right strategy and mentors, it is possible to start a travel blog and make money. In fact, we grew our blog to a stage where it generates us five figures a month in just under two years. This has given us the freedom to work and travel wherever we want to. Since then, we’ve made it our mission to help others get started. Why? Simply put, we want others to be able to achieve and live this lifestyle that we love so much. It has really changed our lives and we want it to do the same for others which is why we published this how to start a travel blog guide in the first place (aka travel blogging for beginners!). Follow this guide and it will show you exactly how to create your own travel blog. 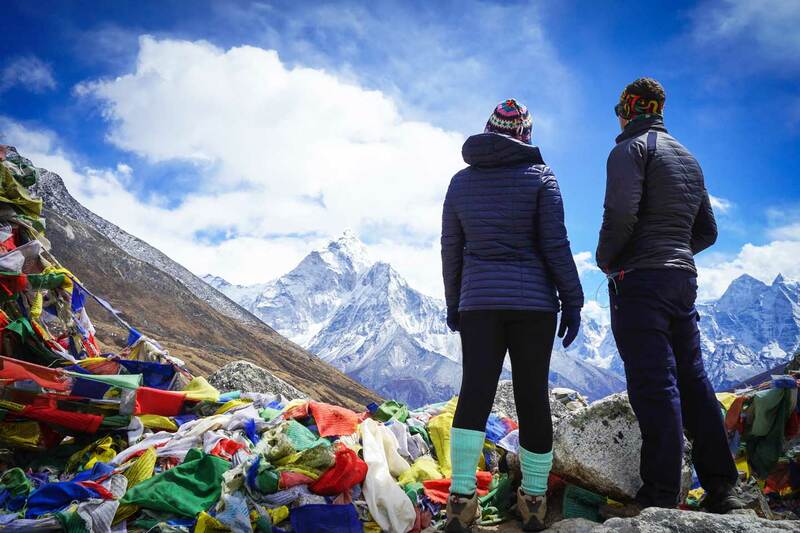 Shortly after we formed our personal travel blog, Adventure in You, it became our mission to “To Inspire People To Do More and Live Their Life To The Fullest, So They Can Create Unforgettable Memories”. Travel blogging has given us the freedom to do what we love, anywhere in the world. By the way, just so you know, behind all the I-work-from-a-hammock and the look-at-my-office-today photos, is a whole lot of scrambling to get decent WIFI! After starting our travel blog, we quickly realized how lucky we are to be living in a generation where we can be location independent, travel as much as we can, and somehow find a way to make money doing what we love. While it’s not for everyone, starting a travel blog has been one of the best decisions we have ever made. Through our travel blog, we’ve been able to travel across 4 continents throughout the last two years. We’ve seen the jungles in the Amazon Rainforest, jumped out of planes over the Swiss Alps, gone diving with sharks in Indonesia, and turn it into a full-time business. The truth is, I could go on and on about why you should start a travel blog but the fact that you’re reading this already means that you’re interested. So, let’s get started! Disclaimer as of 01/05/2018: I think it is best if we are perfectly honest with you about how our current travel blog performs. That way, you know more about us and understand why you can trust our advice. At the moment, Adventure In You gets over 500,000 visitors and generates around $15,000 USD every month. 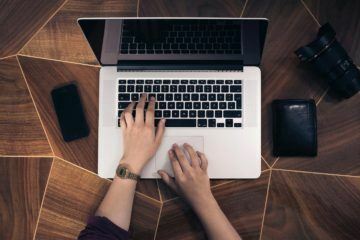 Also, through this article and other resources, we’ve helped over 10,000 people get started on their blogging journey! Deciding what to call your travel blog is one of the most important decisions that you have to make so definitely take your time on this. Before I dish out tips on how to choose a travel blog name, if you’re feeling stuck and just want to get started, the hosting provider that we recommend has this awesome feature which lets you choose a name later on. We know some people who spend ages trying to think of the perfect name but in the end, loses motivation. So if you’re really committed to starting a blog, you can skip over this step, get your hosting set up and come back to it later. 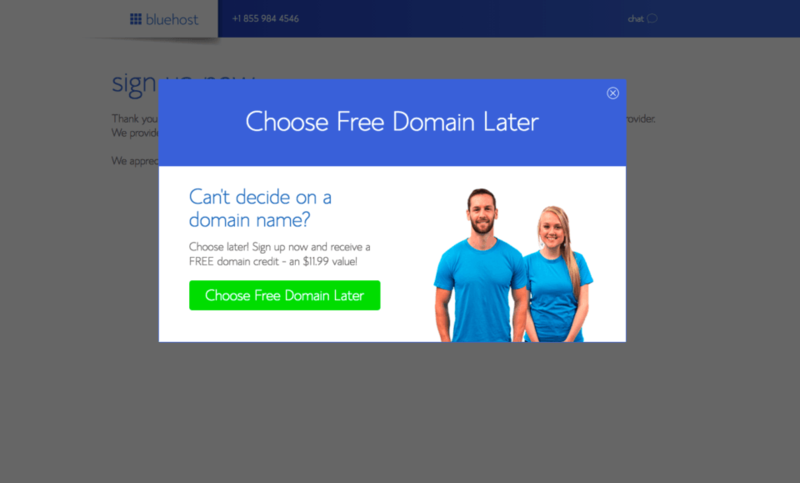 Oh, did I mention, our recommended hosting provider, Bluehost also gives you a FREE domain name so you don’t have to purchase it separately? Listed below are a few tips on how to choose a good travel blog name. One of the most important things when setting up a blog is deciding on a niche. By deciding early on what you want to focus and blog about, you’re essentially coming up with keywords that you want your blog to be about. For us, we were interested in Adventure Travel and wanted to find a way to incorporate that in our name. So before you begin thinking of travel blog names, I suggest making a list of five things you’re interested in blogging about and what you want to focus on. Is it budget travel? Luxury travel? Weekend Getaways? By deciding on a niche and a focus, you’re essentially coming up with a theme for your blog which will help you choose a name. The blogging world is already saturated enough as it is which is why we recommend people to stay away from cliches when choosing their names. 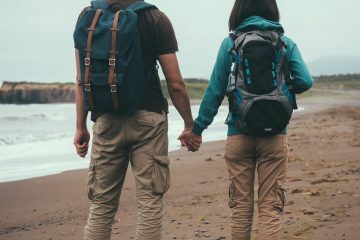 Although it sounds catchy to have a blog called The Broke Wanderer or The Single Backpacker, what happens when you start making five figures a month from your blog? 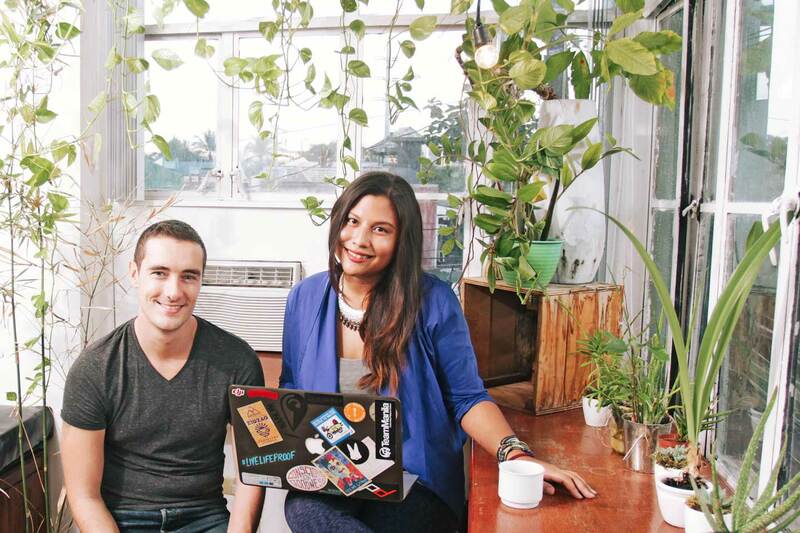 What happens when you grow tired of hostels or if you even end up getting married? Choose adjectives that won’t put you in a box as your travel style will change and grow with you. You also have to think long-term as you envision what type of brands you eventually want to work with. Do you think you can partner up with a luxury hotel when you have the word budget or backpacker in your name? At the moment, there are already too many blogs which have the words Wandering, Nomadic, Adventurous in it. Although they scream “I am a travel blog”, you’re shooting yourself in the foot as there are already so many established bloggers with those names that will dominate the search results. The catchier your name is, the better. This means that you should avoid names that have hyphens, misspellings, or numbers in them. “Hi mom, I’m starting a blog and it’s called 2TravelingLadz .com”. If she does any of those things, you know your name isn’t memorable. With that in mind, avoid travel blog names which have misspellings, weird punctuation marks, or jargon that isn’t easy to understand. Do you have a few blog name ideas now? Here is a search widget to check if the blog name you’re considering is still available. Like I said before if you don’t have a name right now, don’t let that stop you. Continue to step 2 and decide on a name later. Before I go any further, you might be thinking why do I have to set up and pay for hosting when there are free options like Squarespace, Blogger etc? In this section, we will show you exactly how to get your hosting sorted in under 10 minutes. Bluehost is the #1 most used and trusted hosting network on the internet and with our discount, it’s also cheaper than you’ll find anywhere else so it is perfect for beginner bloggers. They offer the best customer service. The first time we wrote about starting a blog, we actually had our hosting with Siteground but after some terrible customer service experiences and site crashes, we moved to Bluehost. We don’t recommend companies we don’t personally use so we made sure Bluehost was as good as everyone says and now couldn’t be happier to recommend them. Can get your hosting before deciding your name! 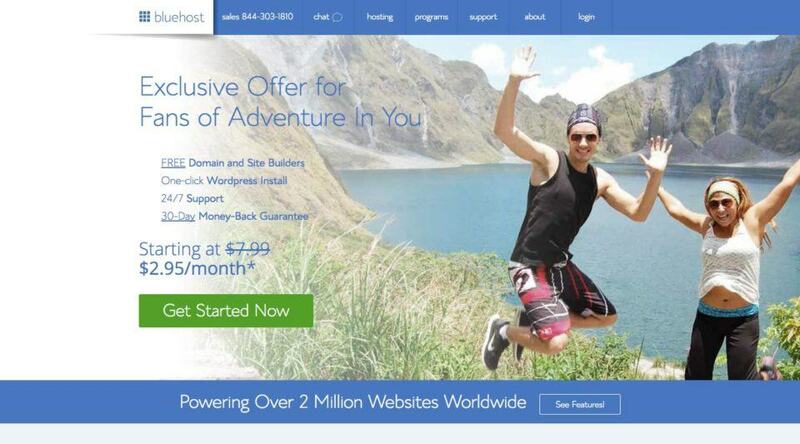 As mentioned, just for our readers, we’ve negotiated a special deal through Bluehost. You can start a travel blog for only $2.95 a month (instead of $7.99), giving you a massive 63% discount! This means that for only $106.20, you can keep your blog alive for 3 years. If you’re on a budget, you can start your blog for just $47.40 which is good for 1 year. Remember, Once You Get Your Blog Hosting Visit Step 4 Below to Claim Over $50 of Blogging Bonus Gifts for FREE! Quick note: We are not sponsored by Bluehost in any way, shape or form. We pay for our hosting like everyone else. We are just happy to recommend them, just like you will be. If that big yellow button doesn’t work then click here to get started travel blogging with Bluehost. 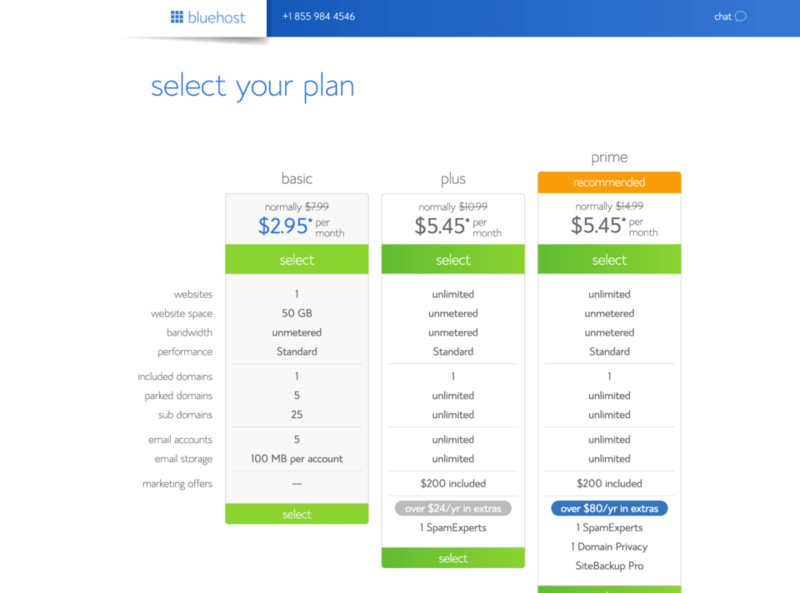 In this section, we have step-by-step instructions on how to set up your hosting with Bluehost or we also have a quick video tutorial. If you’re a visual learner, go on ahead and watch this video below to help you get started. Otherwise, keep on scrolling for more instructions and photos to help you get started on how to set up your blog hosting. After you click the “get started now” button, you’ll be brought to a new page where you will sign up for hosting. If you are limited on budget, the Basic plan will suit your needs just fine. You can upgrade at any time if you need too. If you have a little bit of extra budget that you can commit, the Prime plan probably has the best value for the 36-month package. On that package, you get these included: free domain privacy, free SiteBackup Pro, and SpamExperts. Click “Select” on your preferred plan to move to the next step. Now it’s time to choose your domain name, which can be hard at first but have some fun with it. If you are still stuck on choosing a name, don’t worry, Bluehost has an awesome feature which allows you to pick a name later on! Also as mentioned, you won’t be charged extra for your travel blog domain name as it comes free with your Bluehost package. Editor’s Note: As mentioned, if you don’t have a name yet, hover your mouse as if you were going to leave the screen and this pop up will appear. Then you can come up with a name later! Already have a blog name? Then you don’t need to use the pop-up above. From the “Sign Up Now” screen (shown below), simply type in your new domain in the left box. I strongly suggest selecting a “.com” name from the drop-down menu. After you’re done with all this, click “next”. Almost done! It’s now time to create your account and pay. 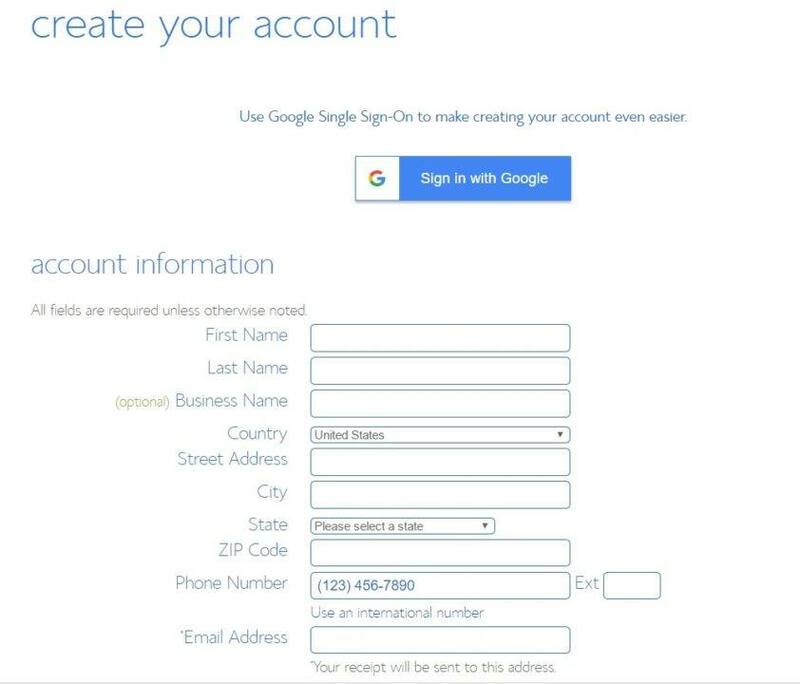 I always create accounts or sign in with Google but if you rather just fill in your details in the fields that are below the google button. Further down the page, you’ll have to confirm the package that you chose and select if you want extras. As I said before, if you are limited on budget, the Basic plan will suit your needs just fine. If you have a little bit of extra budget that you can commit, the Prime plan probably has the best value for the 36-month package. If you want to start by just paying for 12 months at first, feel free. It’s up to you, but you’ll spend more per month if you choose a shorter plan. Also, taxes depend entirely on what country you start your blog in. If you see taxes added to the total amount, it’s the local government tax and can’t be avoided. Some countries don’t charge tax on hosting and some do. That is just the way it is but if it’s there it is not usually more than $25. 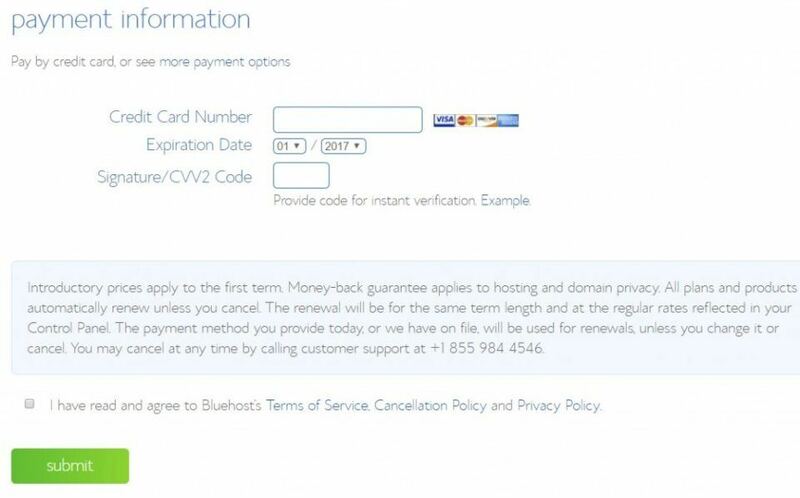 Now enter your credit card information, tick the “I confirm” box and then click “submit”. Boom, that’s the hard part all done! 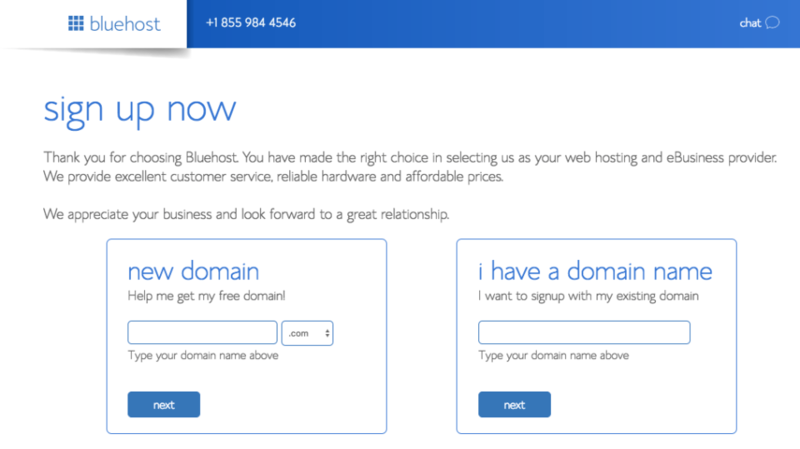 You will now be prompted by Bluehost to create a password for your account. After you create your password, WordPress will begin installing on your account automatically which is another great thing about Bluehost. After you create your password and sign in, you will be prompted to select a theme so you can start designing your new travel blog. Finally, you will receive emails from Bluehost with your account and WordPress information. After that, welcome to your new travel blog!! That wasn’t too hard, was it? BONUS: As an extra motivation to help you get started, if you get your hosting now with our partners Bluehost, we will send you these bonus gifts below for Free! 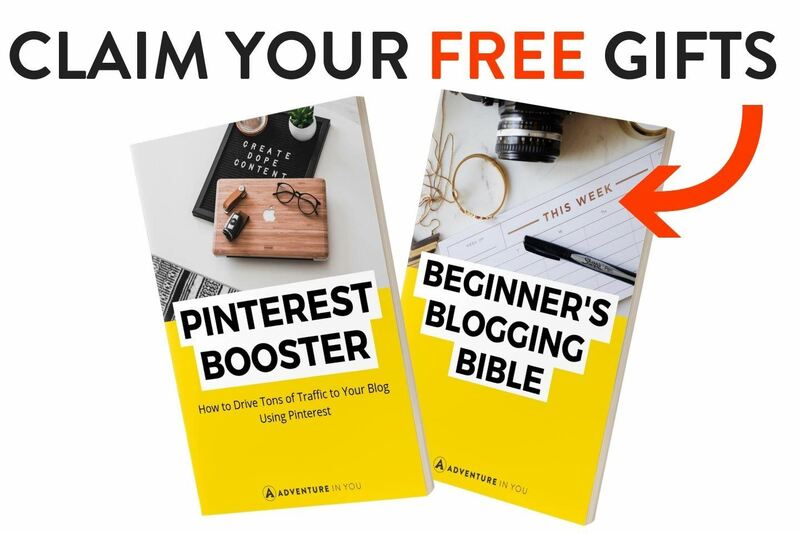 The first bonus gift is a Pinterest Booster Ebook which teaches you HOW to drive tons of traffic to your blog using Pinterest. The other is our Beginner’s Blogging Bible which has our blueprint on how to builfd a successful blog, information on the op mistaks that bloggers make…and more! Just start your blog and then click “Claim Blogging Gifts” below. Follow the instructions so we know where to send it! If you’re still feeling a bit apprehensive about how to start a travel blog or want to figure out ways on how to make money from it, then register for our upcoming master class training. We don’t run this blogging training all the time so if you check it out and see there is availability jump on it! For the super fast workers out there, here are a few extra steps for you if you want to get your travel blog fully set up even quicker. You’ve got your domain name, you’ve got your hosting set up, you’ve installed WordPress, but now you need to choose a theme. What’s a theme I hear you ask? Well, that’s what your website looks like when people go to it. You no longer need to be great at computer coding to make your website look good. These days, you can get away with installing a theme with a few clicks. Go back to your WordPress dashboard. Hover over “Appearance” and click on themes. Activate the WordPress Twenty Seventeen theme if it isn’t already, and if you go to “YourDomainName .com” you will see it! Ok, now you are faced with another decision. To use a free theme or invest a bit more money to buy a premium theme. There are thousands of free themes out there so I would suggest googling “Free WordPress Theme” and have a look around first. Use “Live Demo” to preview how some look. Again the choice is yours but most bloggers start with a free theme and then, later on, end up buying one. The premium themes offer more customization, perform faster, and tend to look better. Adventure In You uses the Zine theme by Themeforest. We are really happy with it and love the look/feel of our blog. We hope you do too! If you are not a fan of our theme, that’s ok Themeforest has hundreds to choose from. Just head there and for your first time click the “View More Featured Items” or search “Blogs WordPress”. Click on each and preview the live demo versions to see what your blog could look like. This is one of the things that makes WordPress.org awesome. Plugins! Do you want a Facebook like box in your sidebar? There is a plugin for that. Do you want people to subscribe to your emails? There is a plugin for that. If your theme doesn’t have the ability to do something, more often than not, there will be a plugin that can do it for you. There are some essential plugins that you should install on your new blog, here are a few that I recommend that you get. Tip: To install a plugin, go into your WordPress dashboard, look on the side panel and click “Plugins” then click “Add New” on the page that opens up. Search for the ones listed below on this WordPress screen, click download, and activate. Job done! “SEO” or “search engine optimization”, is improving how Google ranks your blog posts in its search results. For example, search “Adventure Quotes” in Google right now. Hopefully (if not this is awkward), you should see an article of ours in the top results. Month on month this brings lovely people to our blog. If you want people to find your blog, install Yoast as it is the first crucial step to making this happen. We were late to install WordFence and man, do I wish we did it earlier on. You might not think it now but at some point, hackers will try to hack your website. Simply put WordFence will stop this from happening or at least do its best by adding a layer of security to your website. It’s super easy, just Install WordFence and that is it. It will do the rest. Okay, this isn’t essential and actually isn’t used on Adventure In You (but I wish we had used it), but Monster Insights allows you to easily connect to Google Analytics and track outbound clicks. So if you would like to see how many people are reading your blog posts and what links they click on, this is best. This is pretty technical to explain but the main thing you need to know is it will speed up your website ie. your site will load faster. For now, that is all you need to know. If you want to accurately track your blog growth and how much traffic you get month on month, getting Google Analytics is essential! Installing this allows you to track how many visits you get, where your audience is coming from and what articles they land on. In case you missed it, check out our article on how to set up a WordPress blog which features a bonus video on how to install Google Analytics. 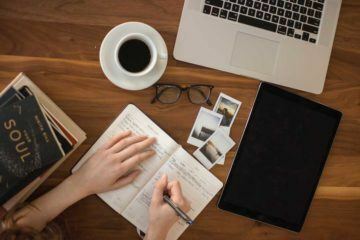 Now, before you leave our travel blog to start working on your own, take 5 minutes to ask yourself, why do you want to write a travel blog? Is it to make a bit of extra income on the side? Is it to eventually turn it into your main source of income? A good tip that we’ve started applying in anything that we do is determining your WHY. Your why will largely affect the type of blog you’re going to run and how much work you’ll put into it. So think about it long and hard (yeah, I just said that). 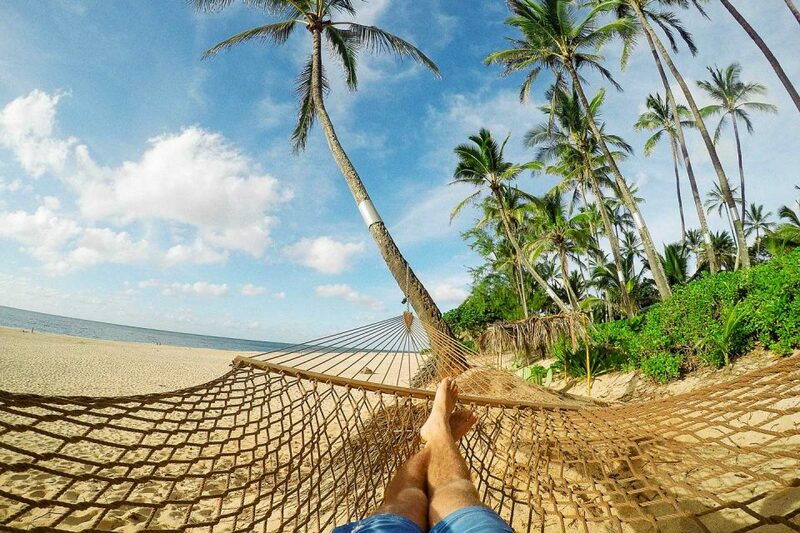 Personally speaking, travel blogging has allowed us the freedom to live a lifestyle that I only used to dream about. Never in my life did I think it was possible to travel the world or do temporary stints living in Bali, Ecuador, or Chiang Mai all while growing our online business. Like I said earlier, it’s not easy to make money travel blogging….but all the things that are worth pursuing never are. My word of advice, if you’re passionate about something, go and pursue it. So now you’re all set and ready to start travel blogging. Go to your favorite travel blogs out there and see what type of articles they write. 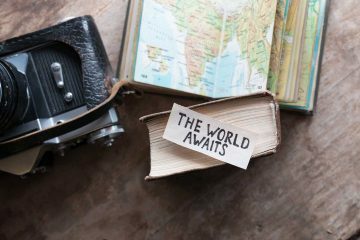 Good travel blogging is a mix of being a great storyteller while still being informative. The last tip that I have about starting a travel blog is to enjoy the whole process! It’s so easy to get overwhelmed with all the information online but as soon as you put your head to it, things will fall into place. P.S. Send us the link to your travel blog once you’ve finished setting it up and again make sure you register for our free blogging training! Disclaimer: Some of the links below (such as Blue Host) are affiliate links, meaning, at no additional cost to you, we will earn a commission if you click through and make a purchase. As always, we only recommend products and services we trust. First of all, your blog looks incredible. Great design and content to lose your time reading such an interesting articles. You definitely put a lot of effort for the content in here. Also thanks for the insights and the advice. I’m currently working through your start a blog course and am wondering…maybe I haven’t gotten there yet. What kind of camera do you recommend using for your photos ? Awesome, thanks for reading and best of luck! Keep going! I’m just now getting started as a travel blogger, and I wish I would have found your page sooner. This post laid out pretty much everything that it took me months to find. You gave me some extra helpful nuggets that I didn’t know yet too, though so THANK YOU!!! 😀 I bought a themeforest theme for my blog recently though, and I am having a lot of trouble with it. I emailed them and they are telling me to use a manual installation through an FTP or something like that. Does that sound right to you guys? Thank you!! Thank you so much for the kind words!! Ah strange. It depends on some of the rules that was set when you set up your wordpress platform ie you might not have certain permissions to install certain files that are X big or change X things. (if that makes sense). Hey Tom, THANK YOU so much for the kind response. I am so lost, and I have emailed them a few times now with the same answers. I have never used an FTP and I managed to download File Zilla, but I don’t know what login info and port I am supposed to use. None of the tutorials have helped with that and I’m sure it’s something easy that I’m just overlooking. It’s not the actual theme that won’t load but a plug in that is a necessity to use on the theme. I am just stuck right now. :/ I have tried to unzip it and upload it from it’s own folder, and now am to the FTP option twiddling my thumbs… If you don’t mind offering some help I’d GREATLY appreciate it!!! Thank you!! Ok, I decided to download CuteFTP instead through my host. I am able to logon, and I can see all of my files now, but when I try to drag and drop it won’t let me. I think I’m close, but not quite there yet. Hey, I am so sorry I didn’t reply sooner. I only just saw this. For future reference email me at tom (@) adventureinyou.com. I reply to my emails daily so will get back to you much quicker. Any update on this? If you are still stuck I can do it for you 🙂 Just drop me an email and I will help. Not a problem. I love the guide that you just wrote. This is so comprehensive and very honest. Goodjob you guys and keep it up. Keep inspiring people to travel . This is the most insanely comprehensive guide! As a fairly new travel blogger, this is such a good post for me, but also one that I will keep referring back to. I don’t now if I ever want to make money from my blog, but I will definitely think about it now! Thanks @samsparrow:disqus Glad you found it useful!! Great guide for a budding blogger. It was amazing to read all the steps which are so informative. A lot of hard work goes into creating and maintaining a travel blog. But if done in a right way, your blog can go places, or rather take people to places. I have been blogging for a year now, and still found couple of good things from your article. It is very important to start correctly, otherwise, one can be lost in uncertainty. Cheers @disqus_QSluQ7BX9h:disqus appreciate you reading! Great guide! 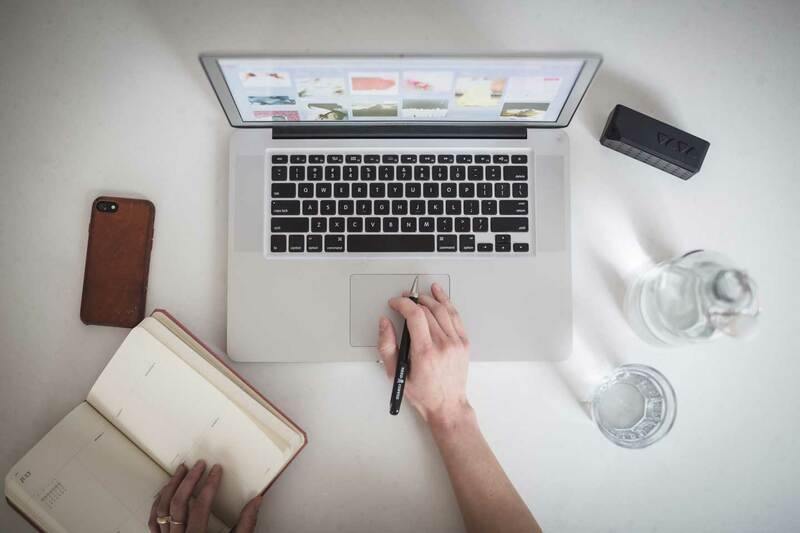 Blogging really can change your life, but I think anyone reading really needs to take on board that it is super hard work and success doesn’t happen overnight – and is not guaranteed! I think that’s one of the best things about the internet though – anyone can give it a go! Definitely! People underestimate the time put into it…but I wouldn’t exchange it for the world! Some great tips here. Im also a travel blogger and have may travel related websites. Most of my money tho is made through adsense. Im also using hotelscombined as well. It doesn’t seem to pay much tho. We’ve had some success with hotels combined but for us, booking.com seems to perform better! We opted to go for a private media site for ads over ad sense! Awesome!! Glad it helped @evasturmoftravelresponsibly:disqus Some people get overwhelmed because of the technicalities of it!